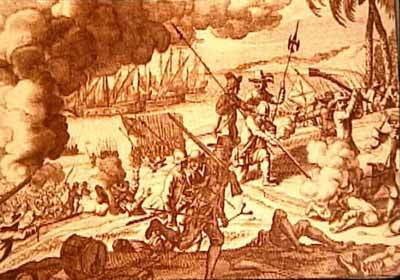 Dutch were incessantly at war with the Portuguese on the coast. 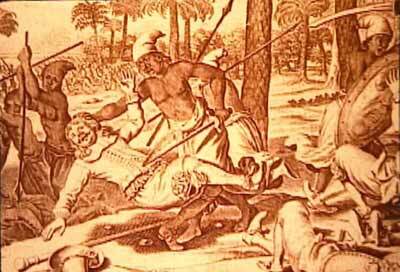 Villagers of India fought bravely with simple weapons against the Europeans' superior weaponry. Tirumalai, the greatest of the Madura Nayaks, ruled over the South of India between 1623-1659 A.D. The Portuguese were the earliest European traders to land at Cochin, and Tirumalai eager to have foreign trade relations concluded a treaty with them in 1639 A.D.  The pearl fishery which employed the Paravas of the coast brought them enormous wealth. The pearls were the wealth of the Pandyas, and now that of the Portuguese. Notwithstanding they were not enterprising enough, and Tirumalai was in consequence inclined more towards the progressive and prosperous Dutch who had large settlements along the Malabar, Ceylon and Chola mandala coast with factories and forts. Accordingly a treaty with the Dutch was concluded in 1646 by terms of which they were allowed to build a fort at Kayal-pattanam. This brought them into conflict with the Portuguese. They seized a Dutch boat laden with goods and drove the Dutch out of their fort and destroyed it. The Dutch sought the aid of their Governor at headquarters in Ceylon. He came over to the mainland in ten boats, landed at Manappar, seized the Portuguese Church at Virarampattanam, occupied the Temple at Tiruchendur and fortified the latter with guns. The people were sorely distressed and they appealed to Tirumalai Nayak. The Nayak sent word to the Dutch to vacate the temple and re-imburse their loss at Kayalpattinam. The request was unheeded. The Dutch nevertheless marched on Tuticorin, ravaged the country all around it, and demanded 40,000 rials as a ransom to quit the place. The amount was also pressed for payment but only a small amount could be got together. In the meanwhile the people at Tiruchendur gathered a force consisting of four elephants, 50 to 60 horses, and 500 to 600 men to oust the Dutch out of the temple. The attempt was unsuccessful with the loss of 50 men of the Nayak forces. The people were utterly helpless and sorely tried. In 1648 the Dutch left the country taking with them all the temple idols, and demanding an enhanced ransom of 100,000 rials. The Nayak and his agent Vadamalai Pillayyan sent an embassy of four men to the Dutch in to demand the return of the temple idols. The Dutch Governor referred the demand to Dutch Government at Batavia, who directed the return of the idols to the temple at Tiruchendur, accepting however whatever amount they were offered. Accordingly the idols were brought back to Tiruchendur in January 1651 and re-installed at the temple after consecration. And the inscription of Vadamalai-appa Pillayyan mentions this incident as in kolam 869. As against this historical background of the event, the popular tradition goes that the Dutch as marauding pirates plundered the country, carried away the temple bronzes and threwn them into the sea to escape a divine retribution, and it was given to Vadamalaip Pillayyan to rescue them from the ocean's keeping. History and tradition, though different, have abundant morals to the discerning and the devout! reproduced in Somasundaram Pillai, pp. 46-7.